Extended relex syntax for loading properties of related objects in one query (automatic intelligent joins). Queries may be composed by end-user with js condition builder. NI.Data.Storage provides simple API for accessing dynamic EAV (entity-attribute-value) data model like usual database tables. Storage supports all basic concepts for defining dynamic data model: classes (tables), properties (columns), relationships between objects. EAV Storage is a free component (LGPL) and can be used in commercial projects without any restrictions. 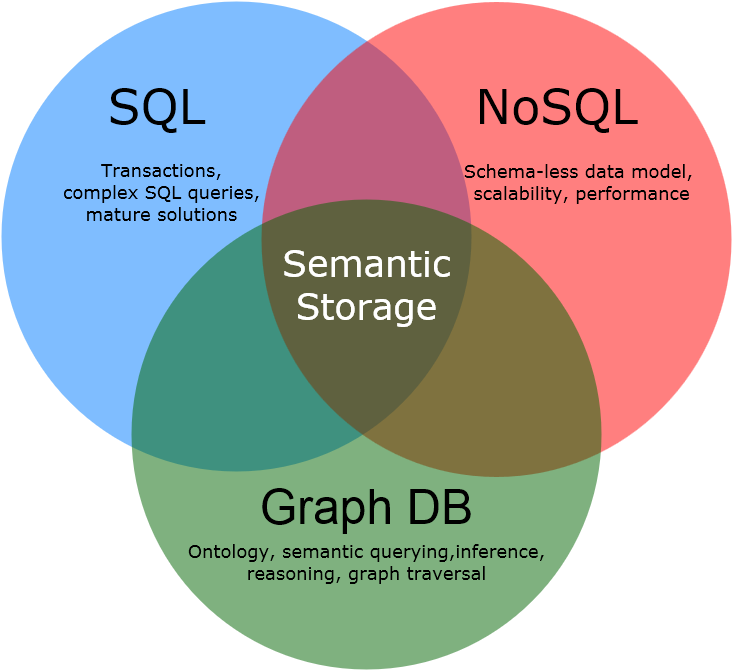 The core idea of Semantic Storage is combining SQL DB benefits with the schema flexibility of NoSQL and semantic capabilities of tripplestore (Graph DB): triplets are stored in a SQL database as EAV and at the same time objects could be accessed like usual DB tables (query, insert, update, delete) by .NET application or API client. The key advantage of NI.Data.Storage (and significant difference from specialized tripplestores) is the ability to combine traditional relational tables and entity-attribute-value (triplet-based) representation in one common SQL database. It is possible to switch between these data presentation forms and if the application uses NI.Data for accessing database (all NReco Framework-based applications) this may be absolutely transparently for UI and business logic layers. Current version of EAV storage was designed for full .NET 4.x / WCF REST API.